What to do when libations take a toll on your skin? It’s holiday time again. 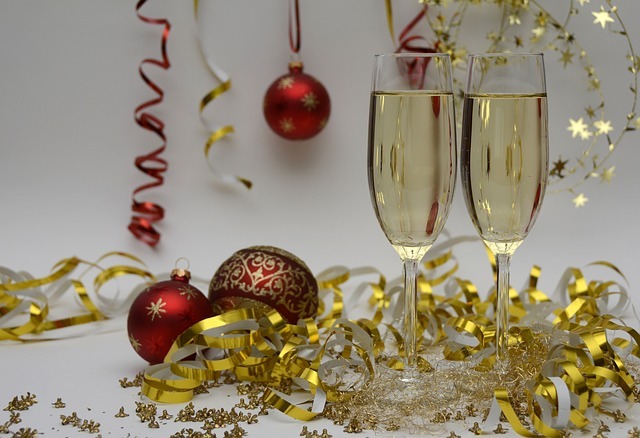 Although Thanksgiving has passed, the “booziest” holidays such as Christmas and New Year’s are yet to come. This post-Thanksgiving period between now and the New Year is when even average people tend to binge drink. What many people don’t realize is that drinking alcohol in excess can have a negative impact on your appearance. Alcohol dehydrates your body including the skin- your body’s largest organ. This happens every time you drink. Extra cocktails can be adding years to your face in the form of wrinkles, poor texture and lack of radiance. Dr. Stanley Poulos a board-certified San Francisco area plastic surgeon explains that “frequent alcohol consumption is also thought to deprive the skin of vital vitamins and nutrients. Over time, drinking heavily can have other, more permanent, detrimental effects on your skin. Rosacea, a skin disorder that starts with a tendency to blush and flush easily and can eventually lead to facial disfigurement, is linked to alcohol. Since alcohol increases your blood flow, it often causes blood vessels in your face to dilate (sometimes permanently) and often burst, leaving behind broken capillaries and red spots that are difficult to get rid of,” offers Dr. Poulos. What's worse, drinking too much doesn't only affect the appearance of your skin; it will dehydrate your hair, making it more prone to breaking and split ends. Weak, brittle hair in addition to premature wrinkling, can easily add 10 years to someone’s appearance. In much the same way that alcohol causes broken capillaries on your face, it irritates and enlarges the tiny blood vessels on the surface of your eye (the sclera) causing a "bloodshot" appearance. If vanity doesn’t get your attention, how about blindness? “Because excessive drinking robs the body of some nutrients required to maintain eye health, it can lead to a condition called alcoholic optic neuritis, which impairs eyesight and, over time, can result in blindness,” cautions Dr. Poulos. Aside from giving up booze altogether, Dr. Poulos says it is possible to minimize the unwanted effects of alcohol by constantly staying hydrated. “That means drinking a full glass of water for every cocktail you have. Drink even more water before you go to bed to flush the alcohol out of your system, so you wake up less dehydrated, puffy and flushed,” he advises. One of the best ways to minimize the eye and face puffiness is to sleep on two pillows, slightly propped up. In the morning, rubbing ice cubes all over your face helps, too. “One of the best ways to deflate eye puffiness and reduce the redness is to place cold tea bags over the eyes. The tannins in the tea help constrict blood vessels,” adds Dr. Poulos. To camouflage, the redness in the face, use a green-tinted primer before applying makeup, which should help neutralize any redness. If you must use foundation, look for a lightweight, moisturizing formula. Avoid powders, as they are often more drying. When at-home remedies aren’t making much of a difference. There are pricier measures you can take to minimize the effects of alcohol. “Certain laser treatments can reduce redness and spider veins on the face. It’s important to see someone who is well trained to administer the laser treatment,” suggests Dr. Poulos. If you are going to consume alcohol know that different alcohols have different effects on the skin, but as a general rule, the clearer, the better. Vodka, gin, and tequila leave your system quicker. “If you’re going to drink anything, drink vodka that doesn’t have a grain in it, like potato vodka. It’s a lot clearer and smoother, so it gets in and out of your body quickly,” says Dr. Poulos. Most physicians agree that although everyone metabolizes alcohol differently if you can remember to drink in moderation and stay hydrated, you can save your skin. Grab an extra-large coffee, then give your skin a little caffeine boost, too. Caffeine helps constrict blood vessels and is a good option after a night of drinking since alcohol dilates blood vessels. "This can make the area around your eyes look puffy and bloated," explains Dr. Poulos, who recommends keeping an eye cream with caffeine handy. Dr. Poulos advises slathering it on as a face mask and to make sure it’s plain yogurt. Because it's anti-inflammatory, it will help soothe redness, another side effect of drinking too much, especially for those who have rosacea, he notes. Leave it on for five to ten minutes before rinsing. Dr. Poulos is a Board-Certified Plastic Surgeon and Co-Founder with Ingvar Hvistendahl, M.D of Plastic Surgery Specialists recognized as one of the premier aesthetic surgery clinics in Northern California. Dr. Poulos helped pioneer the quick lift facial rejuvenation surgery in California and has extensive experience in body contour procedures. With over 30-years’ experience in aesthetic procedures, Dr. Poulos has been at the forefront of innovative procedures such as the quick-lift facial rejuvenation, mommy makeover, and vaser lipo-contouring. Dr. Poulos combines his consistent knowledge of new treatment options with his mastery of facial and body symmetry. His recent focus has been on the gastric balloon, a groundbreaking, non-surgical, medically assisted, outpatient procedure offering weight loss to those seeking to lose between 30 and 75 pounds who may be ineligible for the more invasive gastric bypass surgery. This exciting new procedure allows patients to achieve optimal health and when combined with exercise and proper nutrition, the results have been exceptional.